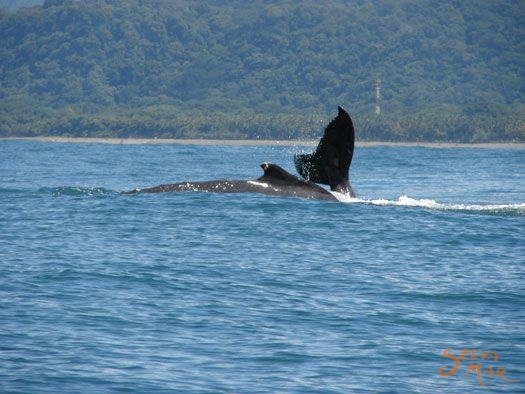 Whale watching in the Pacific waters of Drake Bay and Caño Island and get close encounters with whales and dolphins from the comfort of our boat, and - in season and with a little luck, thrilling sightings of humpback whale mothers and their calves. 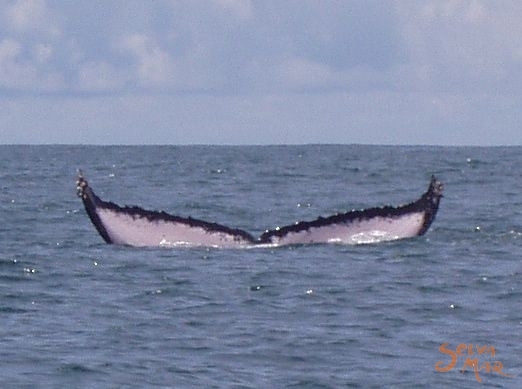 Whale watching seasons are December - March and July- November. 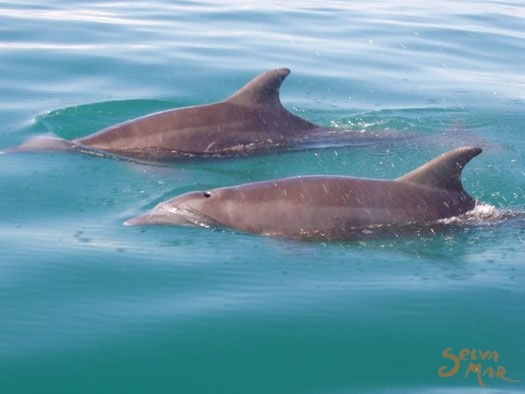 Although whales watching are seasonal visitors to this waters, dolphins are common residents in this area. Every adventure on the ocean is different and interesting. Sometimes we encounter large pods of dolphins close to shore, and other times we find ourselves offshore observing pods of more than 1000 Bottlenose, Spotted, Common and/or Spinner dolphins. You might have the opportunity to watch a new Humpback whale mom teaching her whale baby to breach or see several Humpback whales males compete for female whale attention. 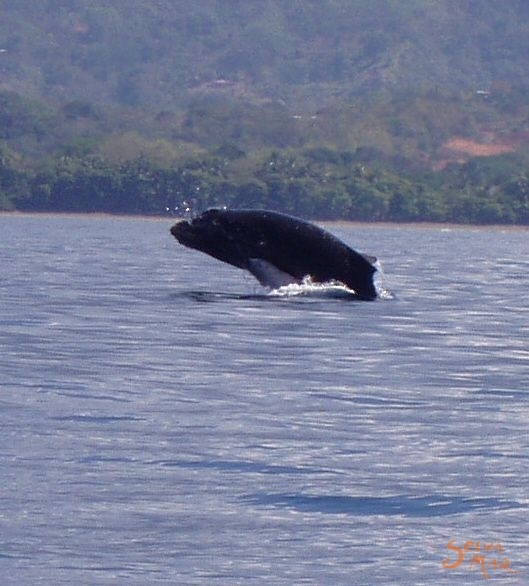 The whale watching tour departs at 8 am and returns at 12 pm, and includes beverages, fruits, and a naturalist guide. NOTE: Our fleet of boats used in the whale watching tour is fully insured, with roofs, VHF radios, compass, first aid kits, and mandatory life vests for the passengers. Wetsuit and extra water may be helpful in your tour.